Explore the Symbols, Monuments & Documents of our History in Four Different Leveled Texts! 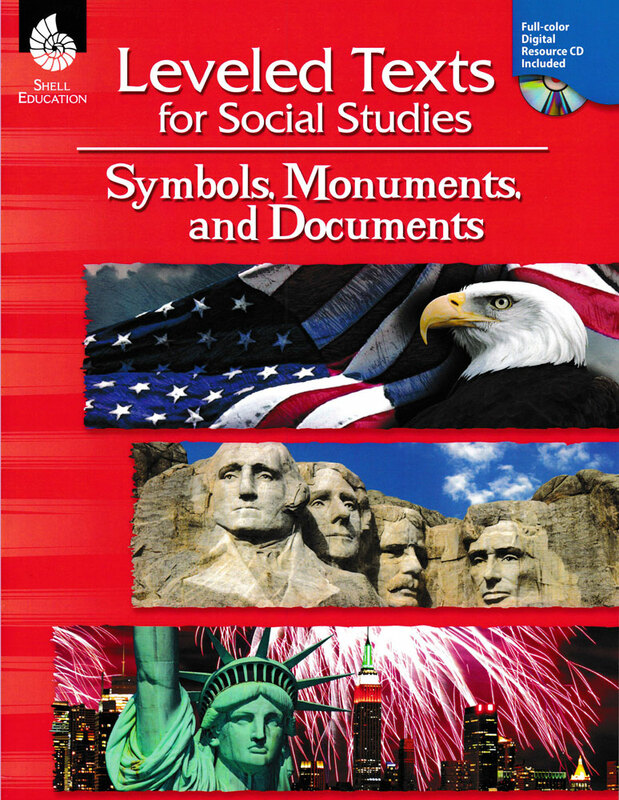 15 Different Topics of American Symbols, Monuments and Documents in Four Leveled Reading Texts! Designed to fully engage and motivate students in grades 1-8, this resource is perfect for differentiating social studies instruction.This book includes 15 different topics including The Declaration of Independence, The Bill of Rights, National Parks, Presidential Monuments, War Memorials, The Bald Eagle, The Great Seal and more at four different reading levels, 1.5-2.2, 3.0-3.5, 5.0-5.5, and 6.5-7.2.  Each topic features high-interest text with matching pictures with symbols placed in the lower corner of each page represent the reading level range and are designed to help teachers differentiate instruction. Comprehension questions are also provided to complement each reading level. 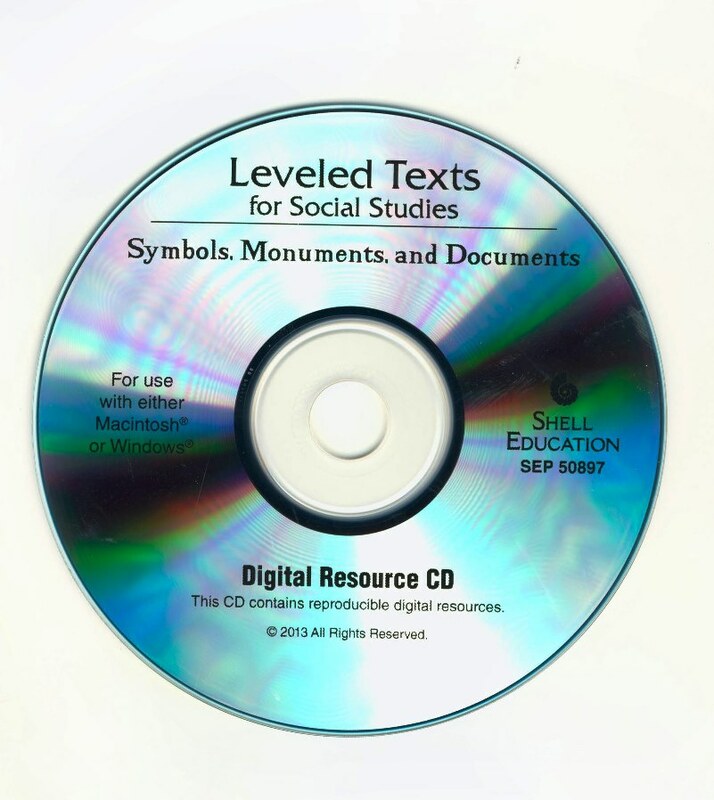 Includes a Teacher's Resource CD that contains a modifiable version of each passage in text format and full-color version of the text and image file pages.  This resource is correlated to the Common Core State Standards. ©2013. 152 pages. Grades 1-8. Reproducible.